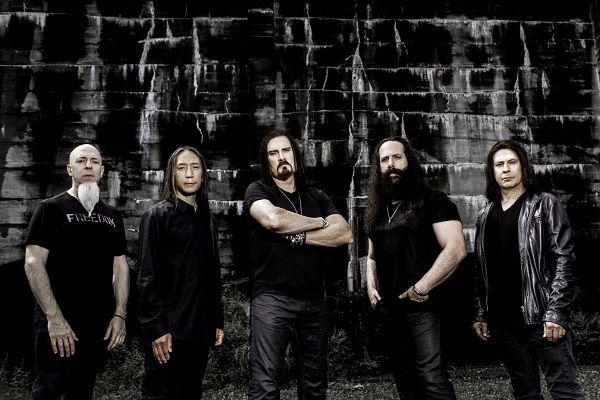 Progressive metal giants Dream Theater are back with their 14th studio album, “Distance Over Time,” which features nine tracks of pummeling rhythms, chugging riffs and epic sonic landscapes. The band recorded “Distance Over Time” on a five-acre property in the Catskills, living together and recording in the “Yonderbarn” studio, and as a result, the album has a cohesive sound. Dream Theater vocalist James LaBrie spoke with Anne Erickson from Audio Ink about “Distance Over Time,” the state of metal music and why Dream Theater has no plans for retiring at any point soon. Read Audio Ink’s review of the new Dream Theater album here, and subscribe to the Audio Ink podcast on iTunes here. Find Dream Theater online via Dreamtheater.net. Anne Erickson: Congratulations on the new album, “Distance Over Time.” You guys recorded this album in a really unique way– at a barn studio on a remote, five-acre property. How did that influence the sound of this record? James LaBrie: I think part of what influenced the sound and songs themselves and how the album ultimately ended up being what it is, is the fact we all lived together. We had a house that we lived in, and the “Yonderbarn” studio was about 100 meters away from the house. So, we would get up and do our morning routine. A few of us would go work out, and the other guys had whatever they did to bring themselves into the day, and then we’d start together in the studio around noon or 1 p.m., and we’d usually go until 10 p.m. or 11 p.m. or even midnight. They were long days, and that’s why we were done writing the album in either 17 or 19 days, but those were long, long days. I think a lot of it had to do with all of us being together collectively in the studio, in one room together, ideas flowing back and forth. I think the other part that’s a very, very a big part of why it turned out this way is the fact that we made a point of isolating ourselves and closing ourselves off from the rest of the world. We were there to do something and wanted to be focused and not have any distractions So, whether we were sitting down to have something to eat or in the backyard barbecuing or back there having a beer or glass of wine, the conversations would always come back to the music and further feed that wheel of creatively. I think that really had a big play and was responsible for how prolific the experience was. At this point, you’ve been with Dream Theater for many years. How would you describe the musical chemistry between the Dream Theater crew? It’s electric. No pun intended! When we’re together, whether we’re together to write another album or together rehearsing or together onstage, it’s an indescribable feeling. It’s thrilling. I guess that would be the closest word to properly describe it— it’s a thrilling ride, each and every time, and it’s something that we all since we were kids have been extremely passionate about. It’s a world that we can walk into and know that we’re respected. We’re welcomed and fulfilled and absolutely gratified from the experience. At the same time, it’s something we’ve come to be so comfortable with, being in a band with each other. At the end of the day, we’re all human beings, and when that first note or riff or chord is played, everything falls into place, and it’s this transformation that happens immediately. It will be a sad day for us, when we are at a point in our lives when we are looking back at what we once did. But, I’m thinking I’ll be pretty damn old before that happens. (Laughs) Each and every one of us is still saying that we still have a lot to do. As long as we still are in it for the right reasons, because we love what we’re doing, then that’s where the focus should be. Well, I’m glad to hear you guys aren’t thinking of retirement. As you continued answering that question, I was starting to think that was where you were going with it! Oh, no! Not yet! … I’m not putting up a time limit on it, that’s for sure. One of my favorite bands is Deftones, and I also love In Flames and Periphery and Switchfoot… Alice in Chains. I flip all over. There are so many great musicians and great bands out there… I think metal never really goes away. Whenever I hear something someone say, “Metal isn’t what it used to be,” I’m thinking, what was it? Because it was never the flavor of the month, and it never has been and never will be, but it’s big enough that those bands that do represent that approach musically are doing very well. They are out there and are playing the sizable venues that can warrant or justify that they are who they are, musically. To me, I think it’s always going to be something that is a big piece and part of the music industry. I think it has to be, because not everybody is into the pop thing. I think the best way for any one of us to be is to appreciate the diversity of music… but I think metal has and always will be well represented.